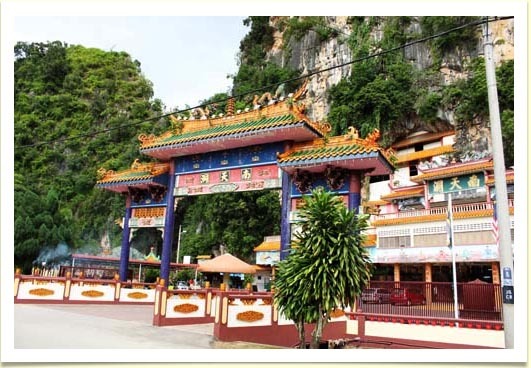 Nam Thin Tong Temple(Cave of the Southern Sky) is located in between Sam Poh Tong Cave and Ling Sen Tong Cave. 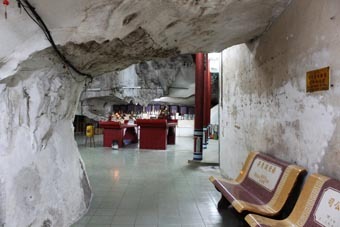 Nan Tian Dong Taoist Cave Temple ("Nam Thien Tong" in Cantonese) is sandwiched between Ling Xian Yan and the further inward, Sam Poh Tong Buddhist Cave Temple. 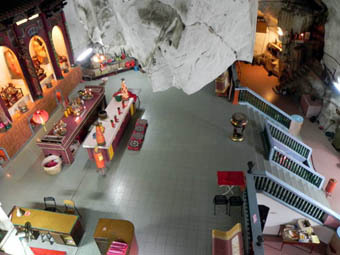 It used to be ranked at par with the Sam Poh Tong and whenever you mentioned Sam Poh Tong, you will automatically associate it with the name of Nam Tian Tong. 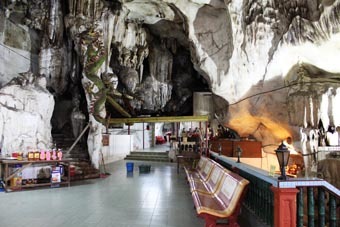 "Tong" is referred as "cave" while "Nan" is South and the word "Tian" is sky; so if you translate that in English, it simply means, the Cave to host the various Buddhist figures from the southern Sky (heaven). 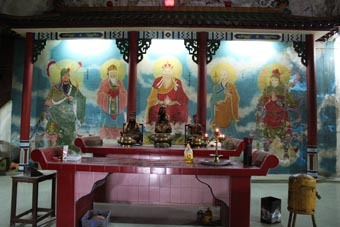 As illustrated with the various colorful personalities and characters at the lower portion of the temple entry section. 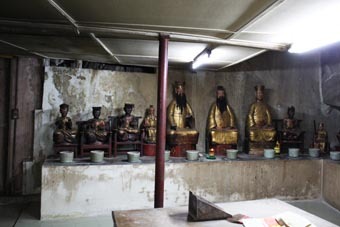 This is a Taoist Temple in its nature and its another alternative name is Nan Dao Yuan ("Nam Tou Yun" in Cantonese), means College of Southern Religious Principles). 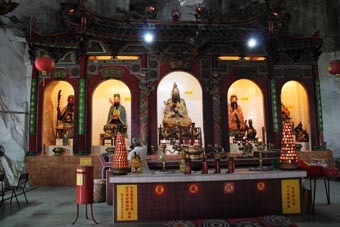 Legend says it was discovered by a Chinese Taoist priest named Kuong San Teik back in 1867 which means to say this temple has a long history of more than 120 years old. 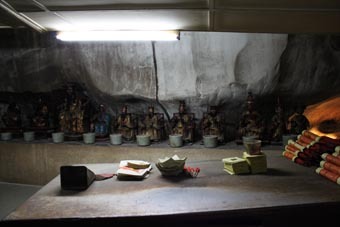 In fact, according to a well kept historical journal maintained by the temple management committee, this current chief Taoist priest is at its fourth generation management.